So you have picked this amazing city. It is literally in such hot demand and listed as one of the top cities in America. Now what do you do??? You are looking for the perfect home in a fast paced market and probably feeling overwhelmed. All I can say is you have picked the perfect realtor. Kristin and her team will make it happen.They are a dream to work with.They make you feel comfortable and are there every step of the way! I am a huge “vibe” person, meaning if something doesn’t feel right from the beginning, I am not interested. The feeling I got the very minute we contacted Kristin was nothing short of comfort and trust. She made sure we were prepared for action far before even viewing a listing, but reassured us if we were not 100% sure or comfortable we could take a step back and take our time. 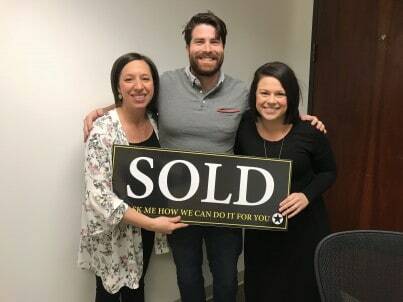 Kristin and Keri are amazing, and I couldn’t imagine going anywhere else for our real estate needs. Trust me when I say you will be nothing short of satisfied and comfortable with your choice to use the Hunter Rowe experts! Good luck and happy hunting!!!! !